Computer malware can cause several types of hard to the computer and its users. It also adepts latest technologies to make itself stealth to avoid detection of anti-malware. The worst variety of malware is rogueware. These were designed to scare computer users with false alerts and asks them to spend money to purchase their bogus softwares. Antimalware companies are striving to improve their technologies every moment to stay in the race with malware. Panda Security, a Spain based antimalware company has been offering powerful technologies since 1990. It offers free Online Scanner (Active Scan) and the best Free Cloud Based Antivirus (Panda Cloud Antivirus) to support the people who don’t have the necessary money to get professional anti-malware protection. Recently, Panda Security have released a new product Panda Cloud Cleaner, that is designed to scan and remove rogueware traces in a system on on-demand scans. This tool isn’t designed to provide protection in real-time. You need to scan you system at regular interval to find any installed malicious software. The software uses collective intelligence from the cloud. 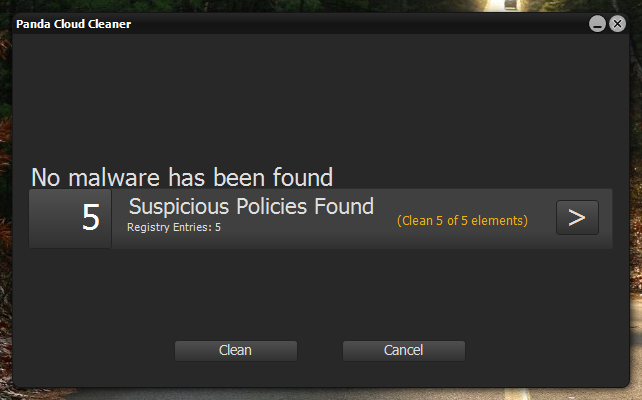 It is much like Remove Fake Antivirus, McAfee Stringer & ESET Rogue Applications Remover. It is digitally signed by Panda Security S.L. You need to follow the on-screen instructions to install the software. It requires 85.4 Md free disk space for its installation. A desktop & Start menu icon will also be created for launching the application in future. The program will launch after finishing the installation. 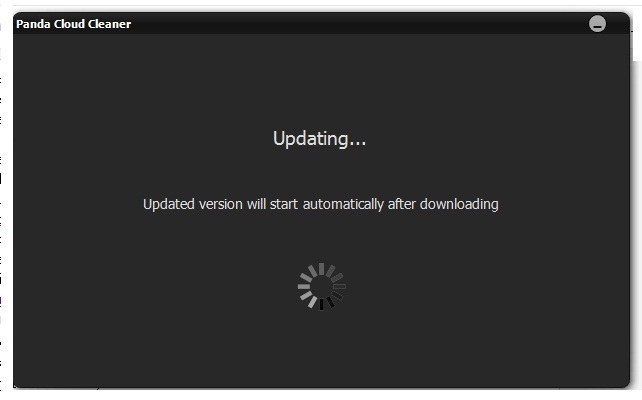 Click Accept And Scan to start the update and scan process. 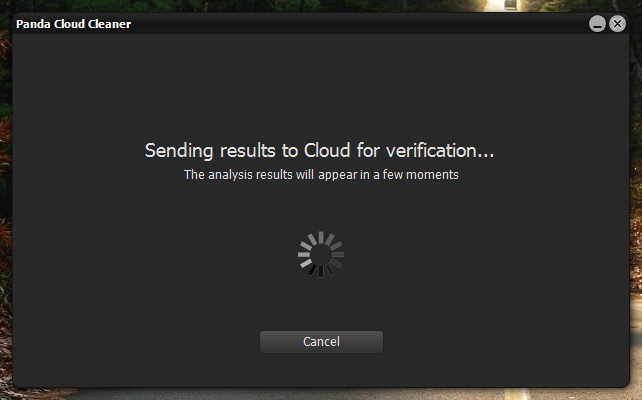 After a scan it will ask for sending the scan report to their cloud for further verification. You may also use the software for scanning an offline PC but in that case collective intelligence will not be used. The software has the signature database that will be used for scanning offline or scanning a PC under proxy. Next you will get to see the scan results and apply appropriate actions. 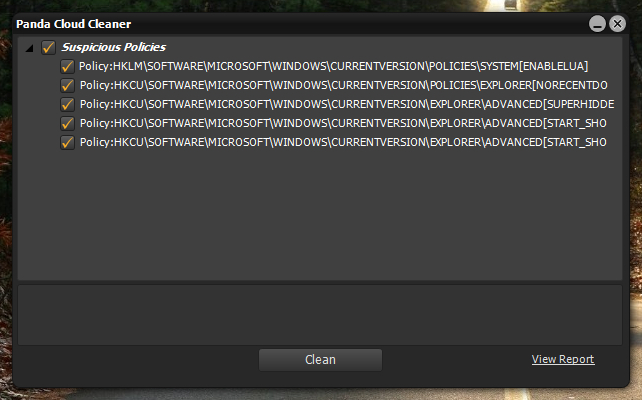 In my case 5 suspicious policies (registry entries) have been found. This is quite good. Those policies were manually made by me to check the efficiencies of this product and it found that out. Malwarebyte is another anti-malware that finds such registry anomalies (usually exploited by malware). I must say, I am impressed with this software. Although I have to keep using it to say anything perfectly but I am impressed at the first hand and since Panda Security always give quality products I don’t have any bad expectations from this product. ← How to Create New Folder with a Hotkey or Keyboard Shortcut in Windows 7?